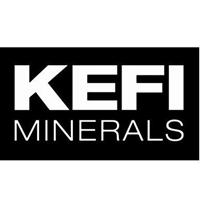 KEFI Minerals (LON: KEFI), the gold exploration and development company with projects in the Federal Democratic Republic of Ethiopia and the Kingdom of Saudi Arabia, is pleased to provide its quarterly operational update. This update encompasses the activities of KEFI Minerals (Ethiopia) Ltd (“KME”) and Tulu Kapi Gold Mines Share Company (“TKGM”) in Ethiopia, and Gold & Minerals Ltd (“G&M”) in Saudi Arabia for the period from 1 January 2019 to 31 March 2019, together with more recent developments where appropriate. § Ethiopian private sector partner ANS Mining Share Company Limited (“ANS”) equity of US$38 million (Ethiopian Birr equivalent): injection of the first equity instalment of US$11.4 million will be upon satisfaction of certain conditions, as detailed in the announcement of 8 April 2019. 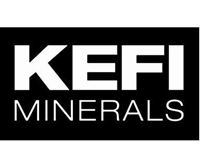 § The plan will result in KEFI holding 81% of KME which will hold 59% of KGM. KEFI beneficial interest in TKGM thus being 45%. o Principal off-site Project contractors Ethiopian Electrical Power Corporation and Ethiopian Roads Authority have had budget approvals for their works and are preparing their sub-contractor tender documents for off-site infrastructure. Their work has started because their deadlines are of a critical path nature to allow plant commissioning to commence in Q4 2020. § £969,000 equity placing completed, as announced on 21 February 2019. § Initial £2 million working capital loan facility (convertible at no less than 2p), as announced on 30 October 2018, not yet utilised. § Once TKGM becomes financially self-sufficient, KEFI-borne direct costs will contract back to c.£1 million p.a. (plus any commitments to exploration as it is started-up in parallel with construction at Tulu Kapi). § Capital inflows to KEFI are available under the working capital facility (maximum of up to £4 million, convertible at no less than 2p) and some cost-recoupments (estimated at £2 million) at full finance closing for TKGM. § Estimated average TKGM EBITDA of US$72 million (£55 million) over 8 years and annual debt-service costs during production of US$28 million (£22 million) over 8 years.